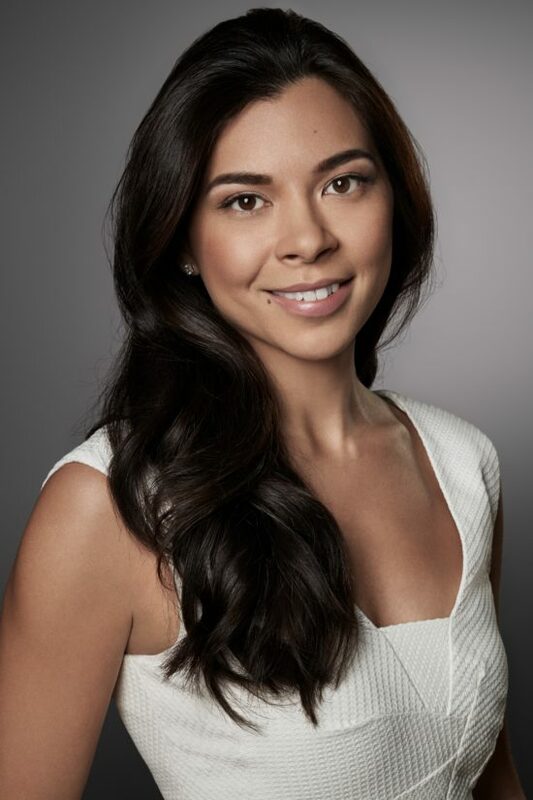 Ann Berry is a private equity investor with a creative soul and great taste. Multicultural and multifaceted, Ann is an avid explorer and observer who occasionally blogs about her travels. 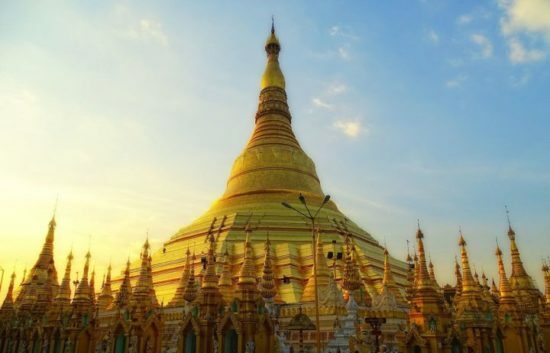 While on gardening leave recently from a large financial group that shall not be named, she took a bucket list trip to Myanmar. Here, she shares with us her highlights and key tips. I am English and a bookworm, so anywhere that has hosted George Orwell, Rudyard Kipling, and Somerset Maugham is a must-stay. The Strand, built in 1901 on the Yangon River, completed a thorough, but sensitive, renovation in 2016. High tea is served in The Strand Café, which is decorated with fabulous opulent wallpaper and vintage sepia photographs, while Sarkies Bar is perfect for a post-sightseeing whiskey and game of pool in a cozy but elegant wood-paneled environment. The Executive Suites are enormous, and come with that great British institution – a wooden loo seat. While the country is still refining its high end hospitality offering, the waterfront Sanctum Inle Resort is a true luxury hotel. 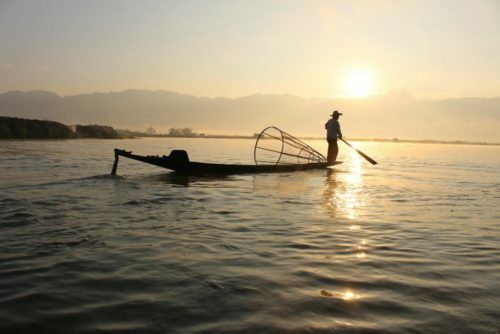 From Heho airport, you transfer to a boat to reach the resort’s lakeside entrance, and along the way sail past the leg-paddling fishermen and thatched stilt houses for which Inle is renowned. Check out the Refectory for a delicious fresh tea leaf salad. The concierge is very good and can arrange day long tours of the lake’s floating gardens and 5 day markets. Yangon’s Shwedagon Pagoda is awe inspiring. Not simply the scale of the gilded stupa, which glistens at 325 feet tall, but hearing the humming of prayer and sounds of songs from swarms of practicing Buddhists who come here to worship. Monks clamber up the pagoda to check the gold plates it is covered with. Their red robes against the warmth of the gilding contrasting the bluest skies provide such beautiful, calming colors. 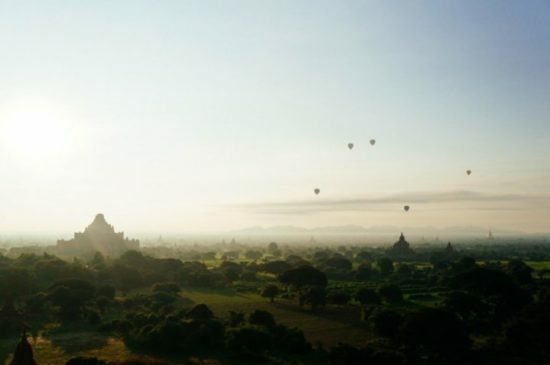 “Balloons Over Bagan” provide the iconic sunrise hot air balloon ride over Bagan’s more than 2,200 temples from the 11th to 13th centuries. The balloons bob down into the haze for close up bird’s eye views of some of the larger stupas. Guests are collected and returned to their hotels in retro wood paneled buses, greeted at the launch site with steaming coffee, and then are treated to champagne and croissants upon landing. Even though the pictures are so familiar, being there is still magical. I almost missed the ancient Shwe Yan Pyay monastery near Inle and am so glad that I didn’t. In the very peaceful, beautiful teak building, novice monks were studying Buddhism at the foot of a gold covered bamboo statue. Some were so young and visibly trying so hard to concentrate! Reputable guides (such as those from Khiri Travel) can arrange to bring a traditional Myanmar picnic to an isolated temple – ours included a hot collection of curries, noodles and fried banana dessert, refreshing cold towels, blankets and comfortable seating baskets. When all templed out, a rum cocktail on a private sunset boat ride on the Irrawaddy River completes the day. Visiting Bagan’s pagodas means shoes off for most of the day. After hours of roaming bare footed on hot brick, nothing is more refreshing than cooling off at the large, pristine pool at Bagan Lodge and cleaning up with a brilliant foot massage at the spa. International newspapers are hard to find in Myanmar, so perfect wifi for an iPad catch up on The New York Times made for a particular poolside treat. Ambience more than product marks the best places to browse in Yangon. For contemporary art, Lokanat Galleries is tucked between Internal Revenue Department offices on the second floor of the rather ramshackle No. 62 Pansodan Street. This road is also home to lines of second-hand book stalls – the perfect place to pick up a cellophane wrapped Penguin Classic. Hidden right by the 2,000 year old Sule Pagoda is narrow 32nd Street, with a surprising stretch of stores selling delicate paper designs from decrepit but still noticeably intricate colonial buildings. Some are painted in striking turquoise, and only a little imagination is needed to envision these in full early 20th century glory. American Express is not yet readily accepted. Visa or MasterCard are required and US $20 or $50 bills are worth carrying. Get cash from airport ATMs upon arrival. These are otherwise in uncomfortably crowded hotspots. The check-in process for domestic flights is still somewhat chaotic once beyond Yangon. Planes are too small for real carry on luggage, therefore passengers are asked to leave their bags in unspecified areas in front of check-in counters. I recommend to spot an official baggage handler of your airline – all wear clearly displayed IDs and are racing around the check-in desks – and confirm where exactly to deposit your bags. Most baggage handlers will gladly take your bags to the correct luggage drop off point with you – it gives much more peace of mind.